New York, New York (August 28, 2015). 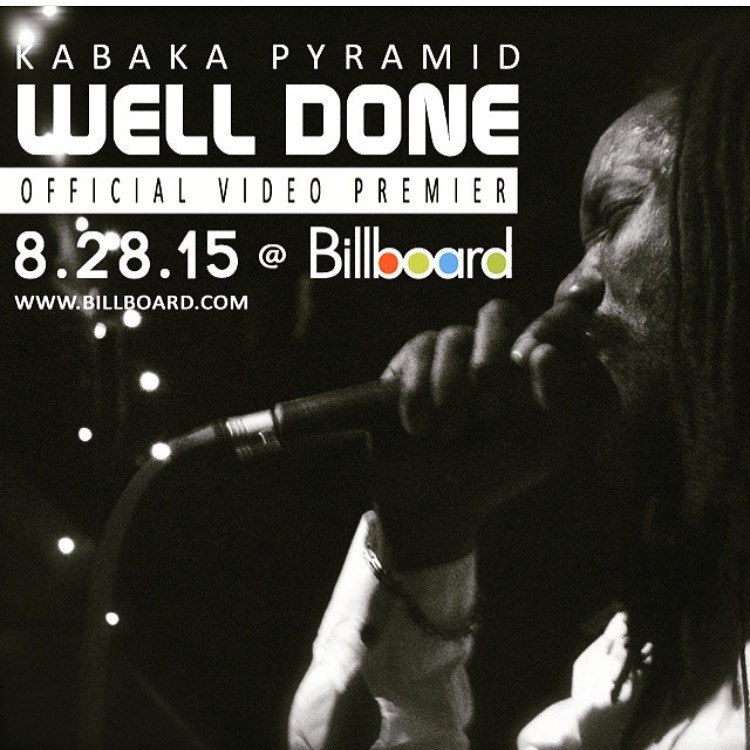 Earlier this year Kabaka Pyramid released a a hit social commentary track, titled ‘Well Done’ produced by Damian ‘Junior Gong’ Marley. 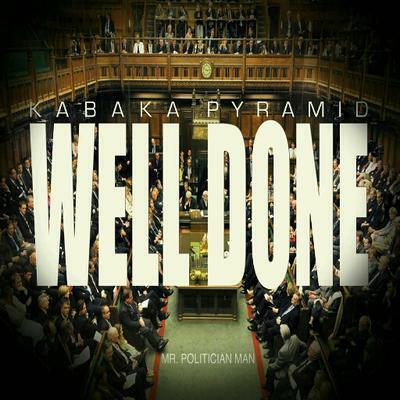 The single ‘Well Done’ highlighted the ineffectual government, while using sarcasm to speak directly to politicians of the world, exposing their abuse of leadership. The single garnered a lot of attention world wide, which created the anticipation for the release of the video. Set to premiere Friday August 28th on billboard.com ‘Well Done‘ video will definitely spark conversation. Directed by Benjamin Lidsky and illustrated by Ikem Smith, ‘Well Done’ video captures the true essence of the song. Providing thought provoking visuals and streamlined messages throughout the video. Kabaka recently returned from Costa Rica where he headlined Reggae Lovers One Soul and received a tremendous response. Kabaka Pyramid and the Bebble Rockers performed a solid hour and 30 minutes set to a highly enthused and well receptive crowd. One of the biggest crowd response was from the performance of his single ‘Well Done’, which resulted in the crowd singing along in unison and demanding an encore performance. “I am really pleased that this video is finally being released. I know people have been waiting since early this year and I’m sure the video will be different from anything one might expect. Benjamin Lidsky, the director, and , the editor/illustrator, captured the essence of the song and the struggles of not only Jamaicans, but people worldwide. I hope the video evoke conversation and makes a difference” says Kabaka Pyramid. On Saturday August 29th Kabaka Pyramid and the Bebble Rockers will perform in Trinidad at the O2 Park Chaguaramas and on August 30th in Tobago at Dwight York Stadium. Kabaka Pyramd will headline along with Reggae star Chronixx and Zincfence Redemption on the IREMEMBER T&T concert. The event is highly anticipated by thousands of people on the island and is being said to be slated as the biggest reggae event for the year. To Schedule interviews with Kabaka Pyramid please contact Destine Media.